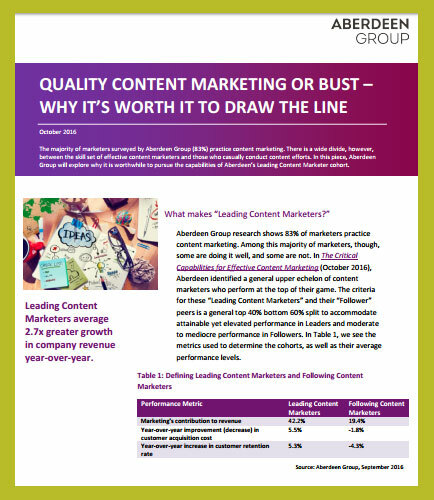 "Defining Leading Content Marketers and Following Content Marketers"
Simply practicing content marketing does not provide a competitive advantage. To see top-tier marketing results, content marketers must also enrich top-tier marketing capabilities. While there is a wealth of such capabilities to enrich, taken together, the effect can be best summed up as quality content marketing. Thus, the line between what is quality content marketing and what isn’t is indeed vital for gaining content marketing’s full utility.